Aquatic Transparencies at Mail Boxes Etc. Christopher MacKinnon created a special blue felt covered box. 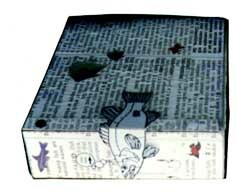 Fish images were stuck all over the box with velcro. Inside, we kept all the individual fish images sent to us. Have box and spray glue?...an ocean scene ready to go up! and then he created a second box! 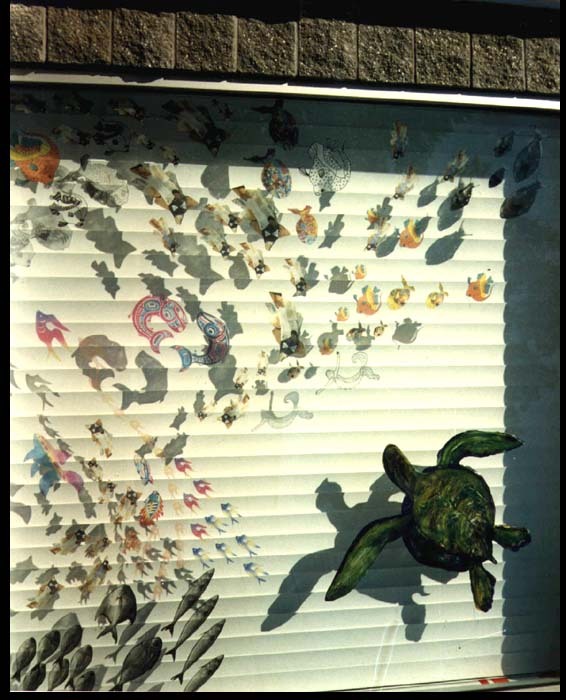 The sea turtle peeled off Ginny Wick's piece she made at Robert Wood Johnson Hospital in New Brunswick, NJ. There was a dolhin too, or maybe it was a shark.